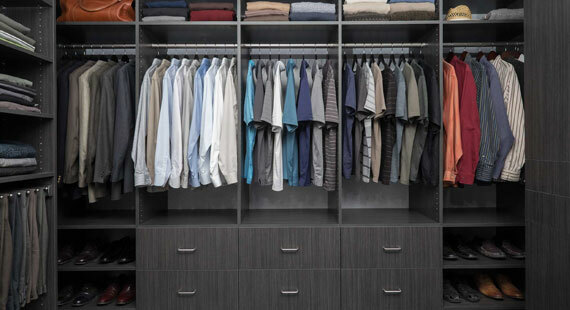 Our closet storage systems feature high-quality shelves and cabinets built specifically to fit your space. Get commercial grade garage cabinets built to last with heavy duty shelves that can hold up to 100 pounds. Choose from a wide variety of sizes of garage cabinets for a completely custom look. 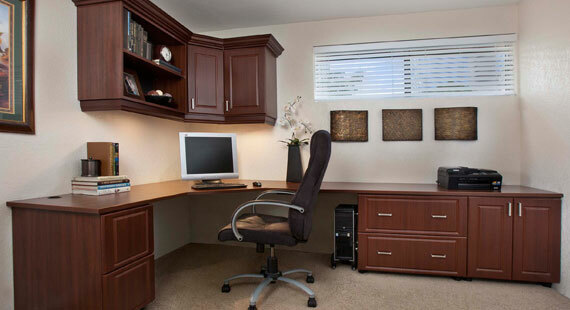 Whether you want a custom hutch or a simple countertop with space-saving cabinets, San Diego Closet Design can create a home office that helps you get the job done. 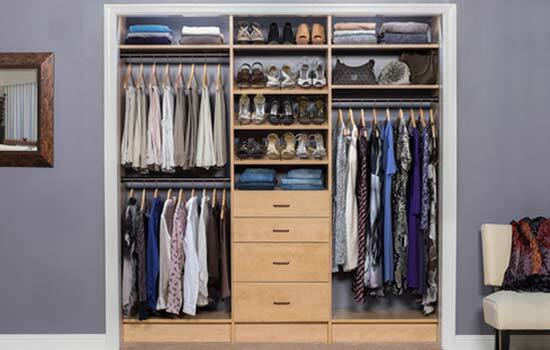 San Diego Closet Design is proud to offer custom closet organizers, home office systems and garage solutions designed exclusively for homes in the San Diego area. Our expert designers are trained to evaluate your space and develop a personalized design plan that maximizes both storage and efficiency in your home. We use high-quality products backed with an industry-leading warranty to help keep your storage spaces beautiful for years to come. Whether you want a custom hutch or a simple countertop with space-saving cabinets, San Diego Closet Design can create a home office that helps you get the job done. Our selection includes adjustable shelves, file drawers, cord management solutions, and even pull-out laptop trays, so everything has a place. Get commercial grade garage cabinets built to last with heavy duty shelves that can hold up to 100 pounds. Our innovative sliding door system streamlines your organization system so you can access all your belongings without rearranging the garage. 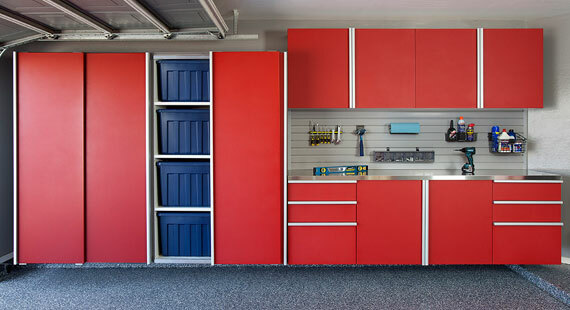 Choose from a wide variety of sizes of garage cabinets for a completely custom look. The kitchen is the heart of the home, so don’t be afraid to show the pantry a little love! Our designers have access to all the latest design techniques to keep your food visible and maximize pantry space. 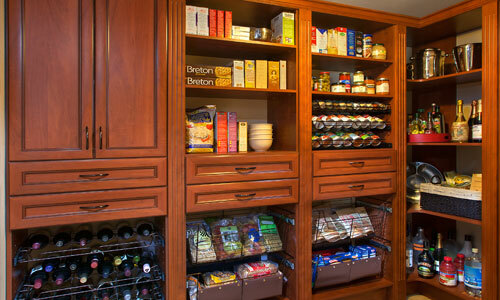 Adjustable shelves and slide-out spice and wine racks make it easy to get the pantry you’ve always dreamed of. A wall bed is the perfect way to turn any space into a functional guest room. Our wall beds are easy to operate and offer a superior comfort level than you would receive with a folding mattress or a sofa bed. Wall beds come in a full range of sizes and can be upgraded to incorporate lighting, a built-in desk, entertainment center, or even wardrobe space. With a wall bed from San Diego Closet Design, you will always be prepared to welcome loved ones and friends into your home. Laundry Rooms and unique spaces in the home create a unique opportunity for a variety of storage and organization solutions. 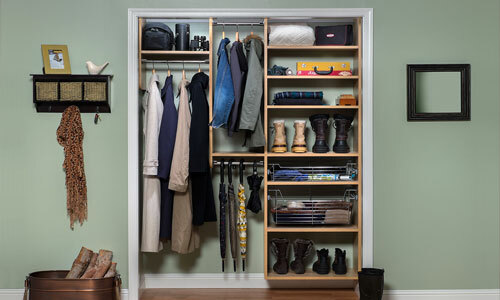 Fortunately, San Diego Closet Design is up to the challenge! We use high quality custom shelving and cabinets that create optimal storage space and look amazing, too. We can install everything from coat hooks to shoe shelves, ironing boards, drawers and more. Each organization system comes with your choice of six styles and 11 standard colors.